For my 150th review on connosr I picked something truly special: Pappy Van Winkle Family Reserve 23 years old. Through luck and the generosity of a good friend I was able to obtain a bottle in early 2014 and it would have lasted longer had I not been generous myself in giving some of it to my fellow whisky maniacs who were begging me for a sample. Indeed, we do not get to see much of Pappy in Europe, which makes their reaction understandable. 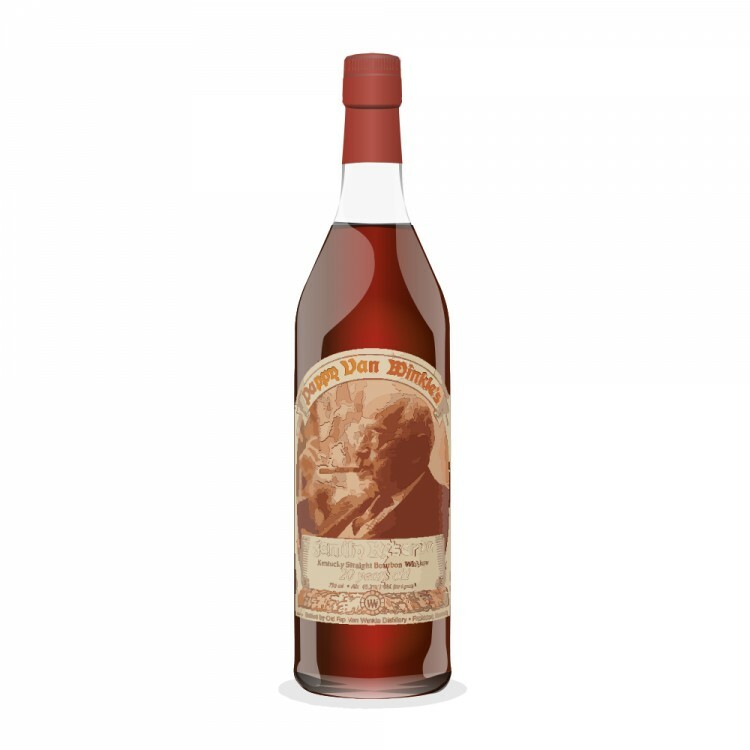 Nowadays, the Pappy Van Winkle Family Reserve label is produced at Buffalo Trace distillery in Frankfort, KY, but of course that used to be different in the old days. The Van Winkle family’s involvement in the bourbon industry began in 1893 when Julian P. “Pappy” Van Winkle, Sr. started as a traveling salesman for W.L. Weller and Sons. He and a friend, Alex Farnsley, eventually purchased the A. Ph. Stitzel Distillery that produced bourbon for Weller. The two companies were merged to become the Stitzel-Weller distillery that opened in May 1935. Pappy who at the time was 61 had a heavy influence on the operations at the distillery until his death at the age of 91 in 1965. His son, Julian, Jr. took over operations until the distillery was sold in 1972. After selling the distillery, Julian, Jr. resurrected a pre-prohibition label, the only one to which the Van Winkles kept the rights, called Old Rip Van Winkle. He initially used stocks from the old distillery to supply his brand. In 1981, Julian Jr.’s son, Julian, III took over the Old Rip Van Winkle Distillery Company, and his son, Preston, joined the company in 2001. Since 2002, the Van Winkle brands have been distilled and bottled by the Sazerac Company at the Buffalo Trace Distillery as a joint venture with the Old Rip Van Winkle Distillery Company. These tasting notes relate to bottle #E-2832. The nose is lush and fruity with an initial burst of alcohol. Based on what I had heard about this bourbon I braced myself for a wood spice attack, but though the oak was there it was far from overpowering, just sweetly spicy. Instead, vanilla, marzipan and plenty of orange peel were at the forefront, followed by honey, a delightful maltiness and a touch of ginger as well as nutmeg. Wonderful! Adding water decreased the intensity of all the flavours. The palate is full-bodied and rich, yet very smooth and rather dry. Honey and ginger are back, together with vanilla fudge, cinnamon and hints of dark chocolate. With water the dryness disappears but is replaced with wood spice. The finish is long and warming. Wood spice mingles with sweet vanilla flavours. Hints of oranges and honey round this off. Did this live up to my admittedly high expectations? The nose and finish certainly did. I found the nose to be lush, rich and sweetly spicy – in short: sheer pleasure. The palate, on the other hand, was a bit weak – despite the high ABV – and rather dry. In my opinion this should be enjoyed neat as water does not add to the experience. Thus, and to sum it up, I did enjoy this bottle tremendously but I might not do my utmost to try and secure a second one. @Pierre_W, congratulations on your 150th Connosr review! Thanks for a very nice informative review. It has been awhile since I've had a taste of Pappy 23. I never have bought a bottle of it because I always saw the younger Van Winkles as better value for money, and when the time came, bought them instead. Still it would be GREAT fun to work through a bottle of Pappy 23, as you have done. I hope to do it some day. Some bottles of Pappy Van Winkle 23 yo are oakier than others. It can be a pretty oaky drink, depending upon the bottle you get. That is fine for me, but it is too much for a lot of people. @Pierre_W, The Stitzel-Weller distillery closed in 1991, you possible have one of the last bottles from Stitzel-Weller. Nice review. I have a 2010 Pappy 20y, oak is predominant, very dark whiskey. Pappy coveters might hate this, but let me tell you about the one time I had this. I'll say at the outset that I'm not a bourbon guy. My family was staying a week at an uncle's vacation home that had all kinds of random people staying there all the time. My wife's uncle had previously had nothing but Dewar's White kicking around in previous years, but last year there was a pretty full bottle of Pappy 23 from, presumably, one of those random guests that preceded us. Nobody knew anything about it and nobody cared if I tore into it. I didn't like it at all. It was like acetone, or nail polish remover, or some sort of solvent. (Is that typical for a well-aged bourbon, by the way?) I'm exaggerating the negatives here, but it really wasn't to my taste. I tried it a couple different nights; I tried it neat and on ice. It always ranged from "off-putting" to "OK" for me. By the end of the week, I was using it as a 50:50 mixer with the Laphroaig 10 CS that I had brought from home in my flask. 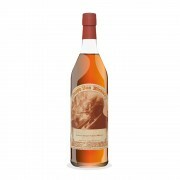 Apologies to the collective denizens of whiskydom who would have appreciated that Pappy 23 more than I did. @Victor, many thanks for your kind words. So far the 23yo is the only Pappy I have had the opportunity to try but I have been told that the 15yo is an equally good dram - obviously at a lower price. My bottle is not too oaky however the wood influence is clearly a central element that I have come to appreciate. I am not a big bourbon drinker but if many bourbons taste like this then I do indeed miss out in life. @Benancio: Enjoy your Pappy 20yo. @OlJas: Appreciate your input and great story! That must have been one hell of a bottle, perhaps the weird result of batch variation? :-) Funny to see that this passed the quality test at the distillery. My bottle is very solid work as I can assure you. Better luck next time! PVW 23, it's the new 20. Perhaps literally. Much less woody than it used to be and the 20 is much less complex, but still quite delicious. The 15 now tastes like the 12 used to. Think it's an "inside job?" Well, you can't blame "slippery bottle dates" that on a heist. . . . I miss the good ole days when I could walk into the liquor store and buy a bottle from the shelf around the holidays. And the price in bars is outrageous now. Still, I am want to splurge from time to time. A glass here, a glass there. C'est la vie. This year I didn't even try to get a bottle. I could have, but why? It's just not worth the trouble. I'm happy with Old Weller 12 and 107 Antique for the holidays, along with a bottle of Glendronach 1975 DT Three Generations. The '75 is less expensive than a Pappy's 23, or even a 20, and I like it much better. As for the Antique 107, it's certainly a good enough bourbon to impress most of my dinner guests. Very festive and full of holiday scents, tastes, and after tastes. This year, I'm giving out the 107 as holiday presents for my friends and a few colleagues. In my opinion, it's a really fine bottle and it takes water quite well. On ice, especially a big round icecube? Wunderbar!